This is a practical and eco-friendly power bank that measures 3-1/2 inches diameter by 1 inch thick and weights 8 oz. The USB charger shows off a portable and low-profile design for unobtrusive storage in your carry-on or purse. 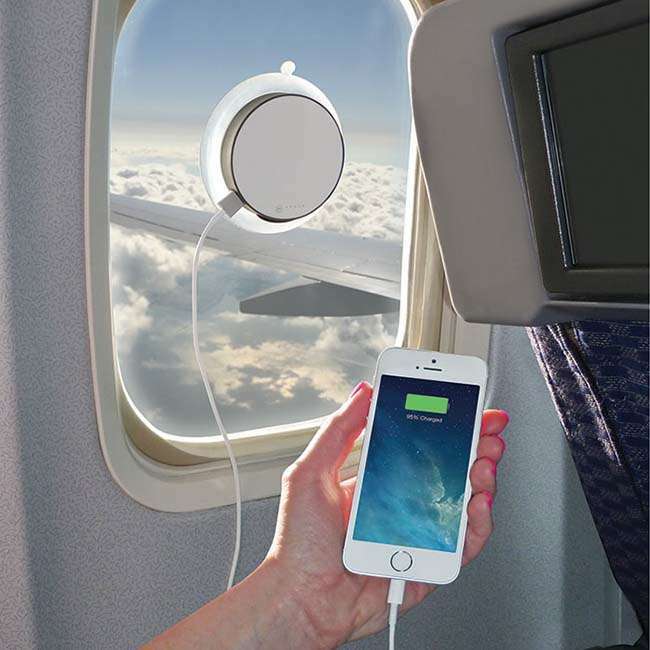 The rounded solar charger comes with a solar panel on the top, and using an integrated suction cup, you can handily attach it on a window in a plane, car or train in order that the solar panel more effectively capture solar energy, and charging the internal 1,000mAh backup battery, meanwhile, an inbuilt USB port lets you charge your iPhone 6 up to 44% or iPhone up to 56% on a full charge. Apart from that, the battery can also be fully recharged in two hours via USB. 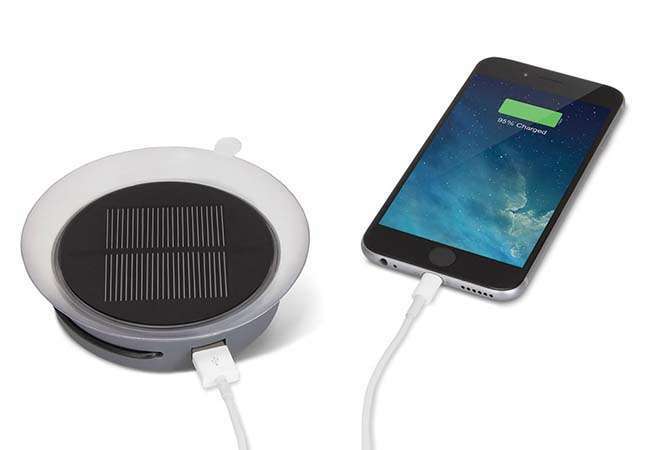 The solar portable charger with suction cup is priced at $69.95. If you’re interested, jump to Hammacher Schlemmer for its more details. Additionally, also don’t miss other nice options such as the solar window portable charger more by following tags.